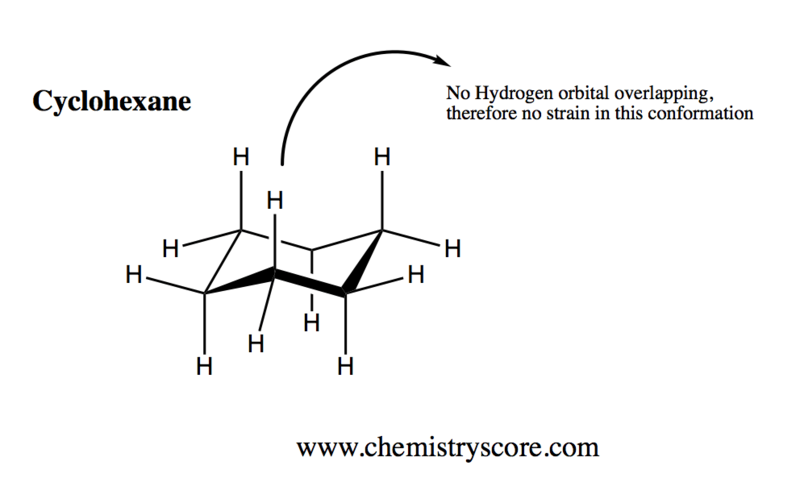 The definition of chair conformation is the lowest energy conformation for cyclohexane, in which all bond angles are fairly close to 109.5° and all hydrogen atoms are staggered. The chair conformation is considered to be the lowest energy conformation because it lacks both angle strain and torsional strain. This means that the chair conformation is the structure that is observable in most reactions of cyclohexane.